How come when I read farming magazines, they wax poetic about those cozy winter afternoons spent warm and dry beside roaring open hearth fireplaces and piles of seed catalogues? 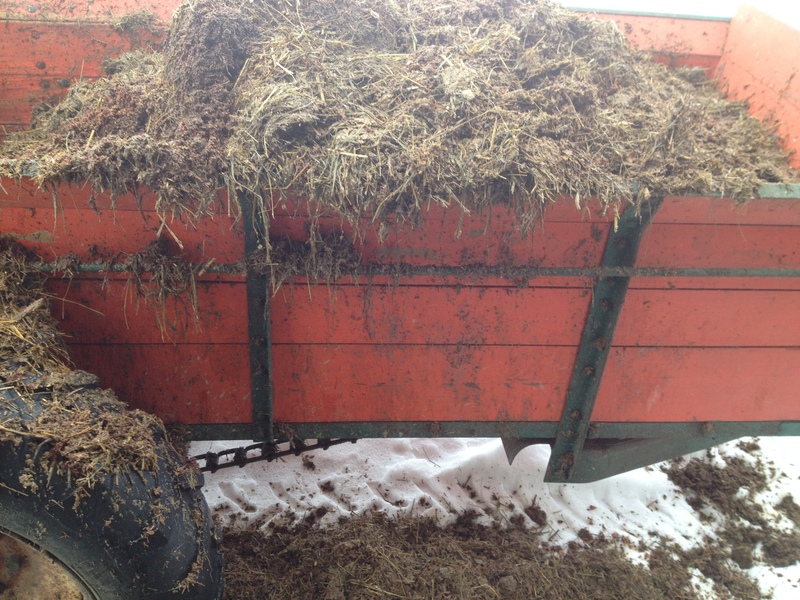 Between a light and pleasant chore sandwich, farmers rest up from the grueling harvest season and spend time resting up, forgetting how punishing the work was and begin longing to do it again, only better this time. That’s some mean piece of fiction there. This is more like it. When the animals are tucked in, that means more work for me. Clean sheets everybody? That has never happened here. Not once. But occasionally, a snowy afternoon spent in the kitchen watching the flakes or rain fall and baking up something belly busting for an early supper can almost make me feel like it did. Pot pie is one of those kinds of suppers. If you’ve read this blog much, you know I have a real love for pie. But still, I really don’t have a “signature” pot pie recipe; my pie is different every time. That’s because I’ve always got plenty of musgo. I’ve always got some ingredients in need of a place to go. Must + Go. Get it? Remember my turkey experiment? Well, at the moment I’ve still got lots of leftover turkey. 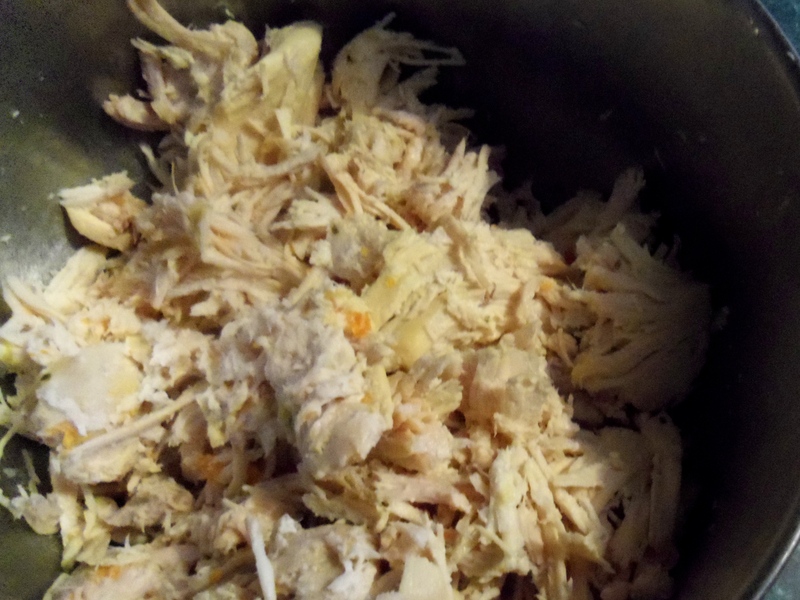 If you start from absolute scratch with a raw chicken or turkey, here’s a hard truth. A good pot pie will take up your whole day. I don’t have a whole day to spend on one meal, but I have my ways and workarounds. As do my friends at Izzy’s Kitchen and Pizzeria. They’re from South Dakota and we thought it would be fun to explore the differences in local foods via the medium of pie. 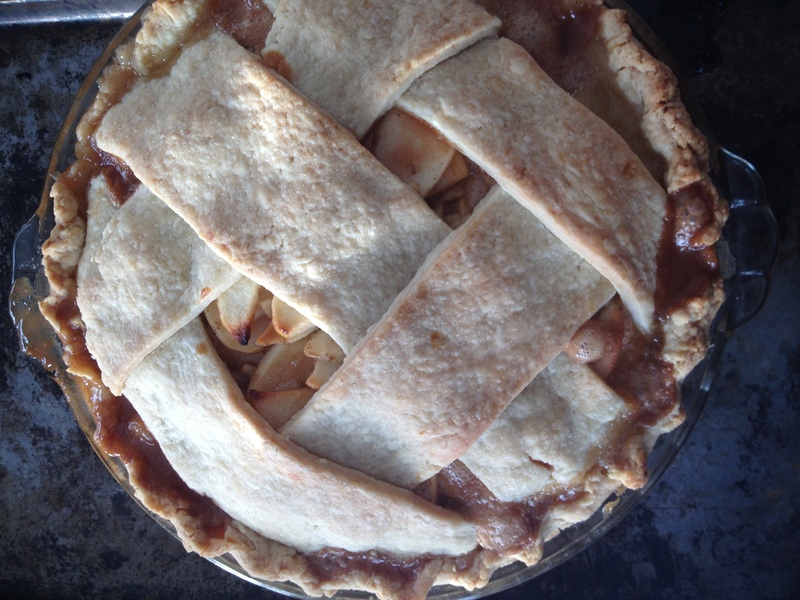 Check out Izzy’s gorgeous lattice topped pie here. What do you know? 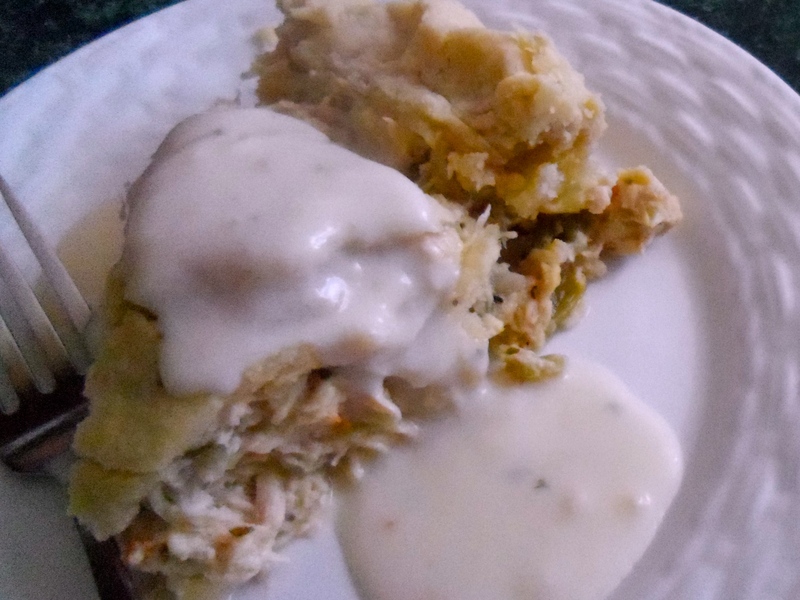 Two pies baked in two distant states and it’s apparent that chicken pot pie is a recipe where regional differences in ingredients really don’t exist. Everyplace in the US has the basics like celery, carrot, onion, flour and poultry. But funny enough, the common element for both of us was shortcuts and saving time. When I bake pies, I don’t use prepared ingredients, though I certainly don’t judge you if you do. Instead, I break it down into smaller tasks that fit painlessly into a normal day. 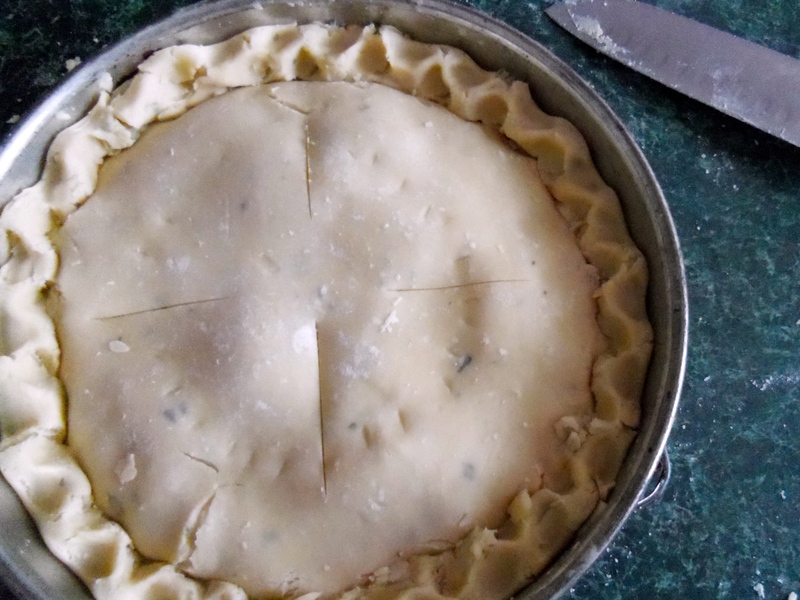 I start a few days ahead by making the crust, dividing it into two disks, wrapping it in waxed paper and popping it into the fridge. A day or so later, I make the filling. Depending on the pie, I may or may not assemble and bake it the same day. I spread the baking of this particular pie over three days. And if I hadn’t had a good bit of chicken stock in the freezer, I might have started by making stock which would add another day. This pie is loaded with turkey. Dense. If you don’t have much, it would be just as good with half meat and half potatoes. Slipping in an extra kitchen chore with the regular dailies makes the whole project feel like no big deal. Pie making is so much fun when on baking day all you have to do is roll it out and enjoy with a minimum of fuss or cleanup. Kind of like eating an elephant one bite at a time. Eventually, it feels as if there is no elephant at all, and it’s just simple habit. I like my pot pies deep dish & packed tight with gravy poured over. I use a springform pan to really pack them full. There is one common thing all my pot pies do share: deep dish status. Izzy’s lattice crust is absolutely beautiful and I would be proud to have made it. 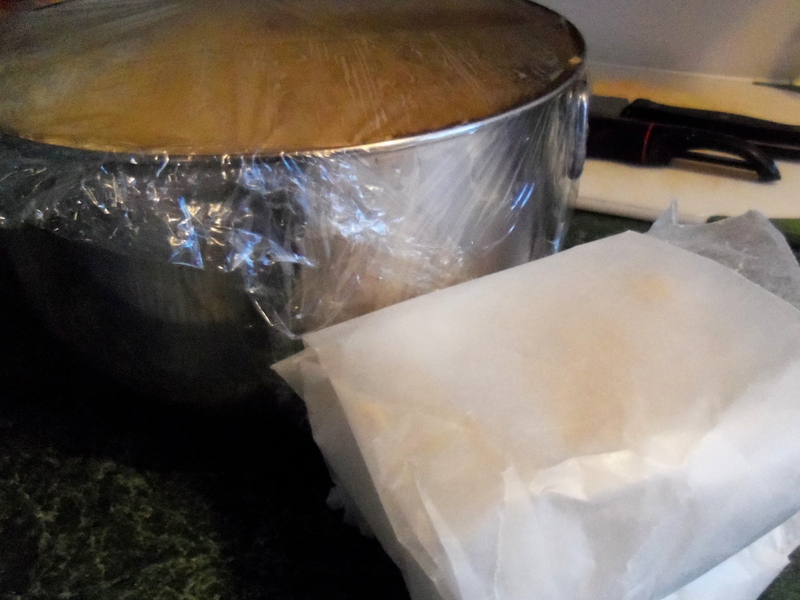 But, I get down and dirty using a springform pan and packing the filling in tight. Then I serve the slices with a generous pour of gravy. If there’s a signature to my pot pies, that would be it. If like me, you have some ingredients seeking places to shine again, you’ll find some great savory pie ideas in Angela Boggiano’s book, Pie. Her recipe for chicken, leek and tarragon pie inspired this pie, but since of course I substituted things I have actually grown and have tucked into my pantry, mine took a slightly different path. If you’d like to give it a try, here’s a printable recipe. Check out Izzy’s lovely pie, and my Angela Boggiano-inspired one, then let me know. How do you pot pie? I am not kidding, I really want to know. Because the ingredients needed a place to go… love that. Wow Tammy, I must have posted at exactly the right time for you. If you haven’t read the book, you should. I’m sure you’ll love it. Gravy — why didn’t I think of that?! Next time. You had gorgeous lattice. Who would want to cover that up? ?